Tax Haven. Dollar bills on a sunny beach... The Panama Papers : more than 11 million documents, which date back four decades, are allegedly connected to a Panama law firm. We can all hold this truth as self-evident: that no one should experience avoidable suffering. Yet our world has so much unnecessary harm. Hundreds of thousands are dying from easily preventable diseases such as malaria. Many millions live in and die from extreme poverty. Addressing these problems is easier than it might seem. Cost-effective interventions could relieve a great deal of suffering around the world. For instance, around $26 billion (less than the amount of money spent on gambling in Las Vegas in 2013) could prevent half of all maternal, newborn, and child deaths. Yet where do we get such money? The revelations of the Panama Papers in early April show where the money that could pay for effective interventions resides. The Panama Papers are a leaked trove of secret documents that provide in-depth details about hundreds of offshore companies used by the richest 1% to hide their money from taxation. Wealthy tax evaders unjustly shift their fair share of the taxes to the less well-off. 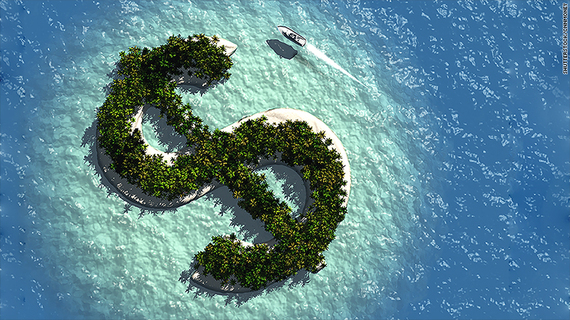 An estimate by the Tax Justice Network suggests that the global elite collectively stashed away anywhere between $21 to 32 trillion in untaxed assets. While tax brackets are different in different countries, the US has a comparatively low top tax bracket at 39.6% of income above $415K. We'll be generous to the super-wealthy and use that one, with the assumption that any money they stash away is money that will be taxed at the highest rate. We also tax capital gains from long-term investments at 20% instead of 39.6% percent for those at the highest tax bracket, and wealthy people make a significant amount of their money from such investments - let's say 30%. Assuming that the $21-32 trillion is growing at a 5% annual rate means $1-1.5 trillion in potentially taxable gains annually. The money stashed away would thus result in anywhere from $350-530 billion. A small fraction of that money is more than enough to address global suffering. For example, an estimate by Oxfam International suggests that we need less than $60 billion to end extreme poverty as we know it. The Brookings Institution suggests that $80 billion would be sufficient to lift the income of the poorest people in the world up to the level of the global poverty line of $1.90 a day. This intervention can take place whether through government programs or charities that use the most cost-effective methods to do the most good per dollar. By comparing these methods, effective charity evaluators carefully determine which charities best address human suffering. GiveWell provides in-depth research reports, while The Life You Can Save offers an Impact Calculator to evaluate how far your charity money goes. A top pick of these charity evaluators is the Against Malaria Foundation, which spends less than $3K to save a life. Another, GiveDirectly, transfers money directly to some of the poorest people in the world as though you're giving cash to a poor family. Its well-studied interventions can transform the fate of a poor village for under $100K. In addition, Animal Charity Evaluators addresses animal suffering, and recommends The Humane League, Mercy For Animals, and Animal Equality as its current top picks. Fortunately, some wealthy folks do give to these charities and engage in other philanthropic activities that reduce global suffering. Dustin Moskovitz and Cari Tuna founded Good Ventures, which gives to highly effective charities, as does the Gates Foundation. Many wealthy people have taken The Giving Pledge, and hopefully they will also donate to charities that have been shown to do the most good per dollar. Imagine how many people would be lifted out of poverty and protected from deadly disease if those who stashed away their money chose to put even a tiny fraction into such charitable activities themselves! There are few legal tools to punish wealthy tax evaders. Yet we can hope that revelations such as the Panama Papers leak and articles such as this one encourage them to bring at least some of their millions and use it both to decrease our tax burden and address global suffering. You can make a difference by sharing this article with others and contribute yourself to effective charities that address global suffering.